Now, this wet-blanket mom must admit that the pool is not her favorite activity. I have three children, which for years has meant juggling three different levels of swimming competency. This one wants the baby pool. 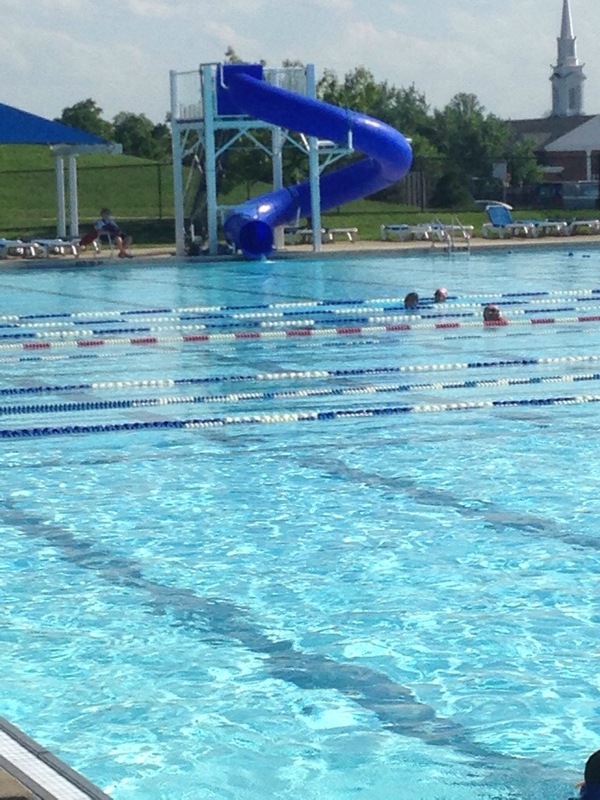 That one wants the deep end with the tall, twirly tunnel slide. The other wants the “lazy river,” a floaty, current-driven, snake of an appendage to the regular pool. 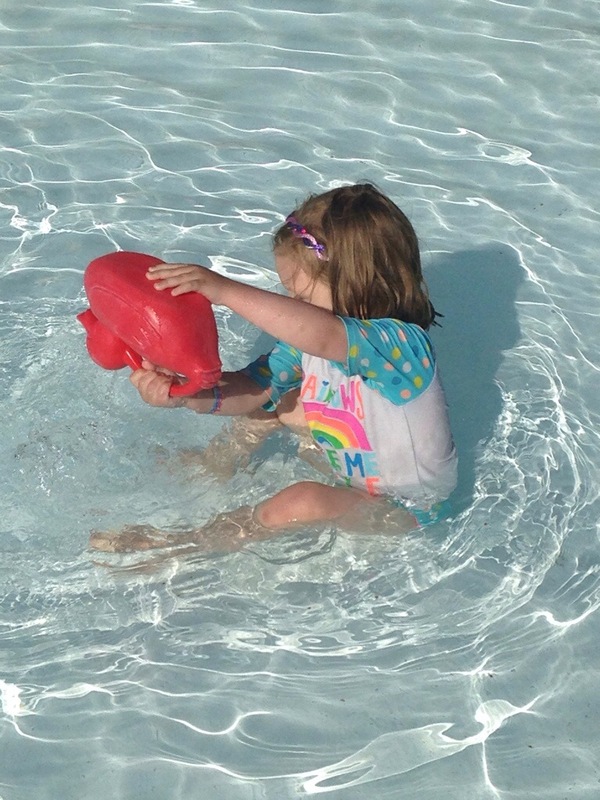 Last summer, I had one avid swimmer and two timid non-swimmers, which meant that I was usually standing in chest-high water holding two clingy girls in my arms while my son splashed and dunked nearby. But the first trip of the summer to the pool is always an exercise in virtual time travel. My kids and I all remember the last time we were here like it was yesterday, and suddenly (it only seems) my six-year-old has crossed into the swimming category and has added enough inches that she can stand without tippy-toes in the big pool. And it’s not just my family, of course; we all see the progress of the past year set out in stark relief on that first day at the pool. 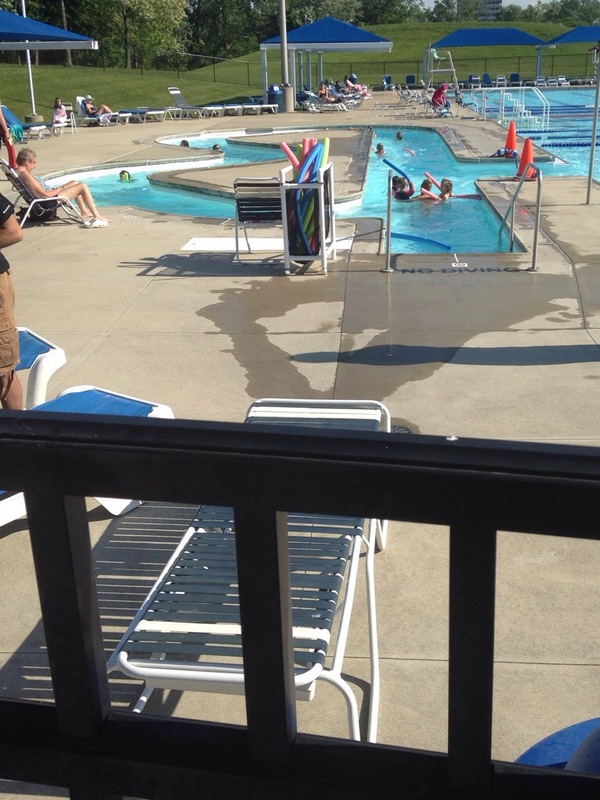 Every year – and today was no exception – a friend marvels to me that she is, for the first time, watching from poolside while all her children swim independently. It’s not my turn for that yet. No, we’re still a long, long way from mom reading a novel on a beach chair. On this day we together make the usual rounds of everyone’s desired swimming locations, and then we settle on a compromise only made possible by that magical time-travel effect of the passage of almost a year away from the pool. I realize how big they’re getting, and everything in my head and heart shifts. Suddenly, for the first time in the nine years, I am actually out of the water. Instead, I’m perched on a plastic chair just inside the fence of the baby area, waving to my two bigger ones as they enjoy their freedom and big kid fun on the lazy river. 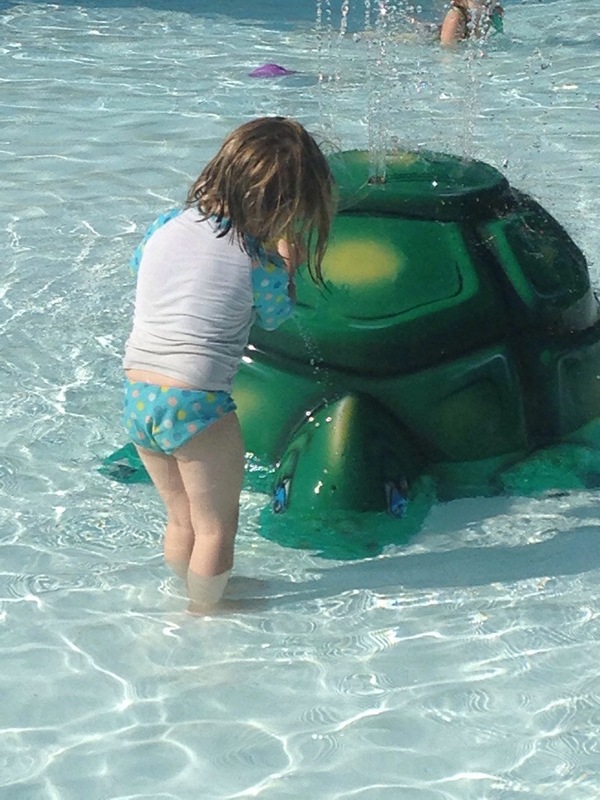 And, near me, my youngest, my “baby,” who turns four on Saturday, looks almost like she’s toddling again with her wobbly gait as she wades heavily through the knee-high water. I can’t help but notice her charming roundness, and the solid shape of her little legs. Her older sister has recently lost all that in favor of a graceful lengthening of limb, and I know my little one soon will as well. But for today, she is contentedly playing with plastic boats and watering cans, looking like much the baby girl I know I’m soon about to lose in favor of another big girl. She feels grown-up, too, as I give her the go-ahead to venture to the other end of the baby pool, where the water reaches her thighs instead of her little knees. She seems far away, but it’s only about fifteen or twenty feet. But it’s farther than she’s ever been from me in the water, and I know she’s only going to be going farther. Now I’m waving to everyone, and I’m not holding onto anyone. But my eyes are still on each one. I’m at the fence in the middle of all of them, here if they need me. Today, they don’t. Another great article Sharon, I know the kids grow up so fast – I can tell you enjoy all the stages of your children’s growth. You are a great mom! Hi Sharon, Thank you for writing this. I have been getting more and more sentimental with time, especially since we know that Claire (who is now 2) is our last. I will bawl the last time she can play in a baby pool, when she graduates from baby to big girl. Great article Sharon. I had almost the same experience at the pool last week w/ my 3. It was bittersweet! I am looking forward to the lazy days in a chair w/ a book. Not too far off, huh?